Load King Detachable Gooseneck Trailers are designed and built to be durable and user friendly. Engineered safety factors and innovative features make the operation both safe and fast with a life expectancy far greater than the industry standard. Load King values a high owner satisfaction rate, with loyal customers coming back year after year. Load King takes pride in extensive, innovative features developed for hauling the most weight safely and efficiently. In 1966, Load King won Patent of the Year with the design of the first ever E-Z Fold Mechanical Folding Gooseneck Trailer and has continued to innovate and improve this design since. With thousands of working E-Z Fold and Power Fold trailers in the field, Load King remains the proud builder of the most popular Folding Gooseneck Trailer in the industry. Designed to eliminate binding, Load King reduces weight by welding the linkage to the front of the deck instead of the top. This is just one of the many ways Load King designs the most innovative trailer with the lowest cost of ownership in the industry. Load King takes pride in producing the most durable Folding Gooseneck Trailer in the industry. Railroad construction is dominated by large pieces of specialized Maintenance of Way (MOW) Equipment. Specialized equipment benefits from having a specialized trailer. That’s why many railroad contractors and railroad carriers come to Load King for their rail trailers. Specifically designed to haul such equipment, the detachable gooseneck has a set of inlaid rails. By dropping the trailer, large MOW equipment may be winched on to the trailer straight from the rail, eliminating the need for heavy duty crane rentals. Additionally, by allowing the flanged wheels of the MOW equipment to rest naturally, without the use of dunnage, load stability is increased. Load King takes pride in providing a specialized option for a specialized market. Load King Mechanical Detachable Gooseneck Trailers are designed and built to be durable and user friendly. Engineered safety factors and innovative features make the operation both safe and fast with a life expectancy far greater than the industry standard. Load King values a high owner satisfaction rate, with loyal customers coming back year after year. 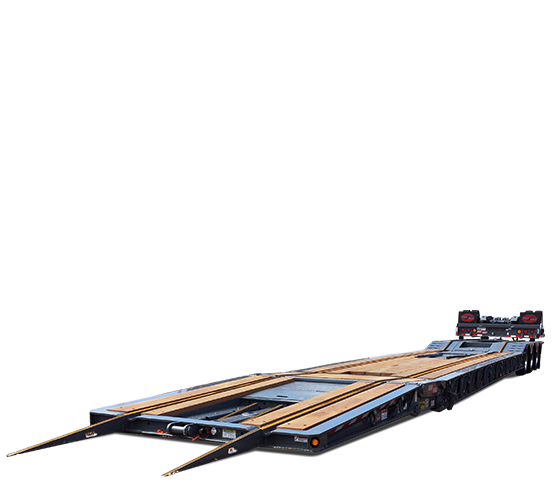 Load King takes pride in extensive, innovative features developed for hauling the most weight safely and efficiently. 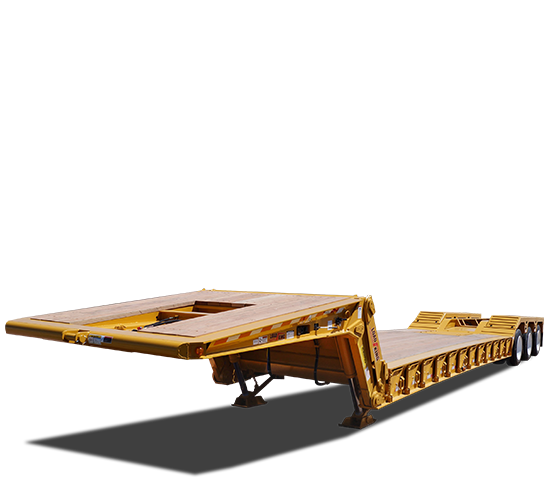 Constructed of hard-ox with front and rear tailgates, Load King’s End Dump trailers are manufactured in lengths from 28′ to 35′. The tub on the Load King End Dump is of two-piece construction, unlike our competitors that have a vertical seam every eight feet. Your Load King End Dump can come equipped with either a manual or an electric tarp option, giving you the ability to customize your trailer for you exact needs.